We’ve read the story of our Savior’s birth, and about the gifts presented to Him by the Magi countless times.We’ve heard the Christmas carol ‘We Three Kings’ almost as much. Tradition says that Gaspar, Balthasar, and Melchior traveled a long and hard journey from the east, following the Star of Bethlehem to the place where the baby Jesus was. At this time, it is probable that Jesus was about 2 years old. 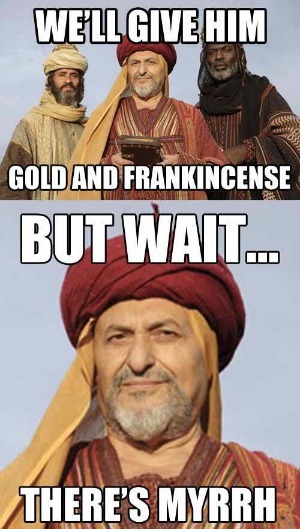 Yet as a 2 year old, the baby Jesus was recognized by the three Magi as a king, and given gifts of Gold, Frankincense and Myrrh. The Bible tells us that the Wise Men had first visited Herod, the King of Israel, telling him about this great and mighty newborn King. Herod, jealous and feeling threatened by the birth of Jesus, tried to deceive the Magi by telling them to return to him when they had found the newborn King ‘so that he also, may pay homage’ to Jesus. But warned in a dream about Herod’s intentions, the Magi instead left for their own countries by a different route, neglecting to visit Herod on their way out. 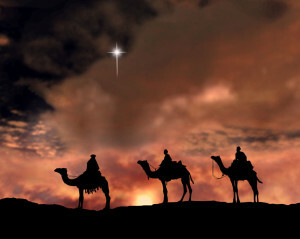 The Magi were seeking Jesus. They came bearing earthly gifts. To me, this is a great example of being human. We, as Christians, live our life seeking Jesus, just as the Three Kings did. Not only do we seek Jesus; we come bearing gifts. Our gifts are often earthly and materialistic in a sense, though they may be well-intentioned, as the gifts of the Wise Men were. “I will give money to the poor, serve Your Church, etc.” But after we offer those gifts, we leave Him. We wander away. We take a different path than the one that leads to Him. Jesus is touched by our gestures. He appreciates it very much when we serve His Church, help the poor, and do other acts of kindness. He lets us know this in Matthew 25:40 when He said, “Truly I say unto you, whatever you did to the least of my brethren, you did unto Me.” We are called and expected to serve others as Christians. But the greatest gift of all that we can give to our Lord is not simply a well-intentioned gesture. Those are just supplements. 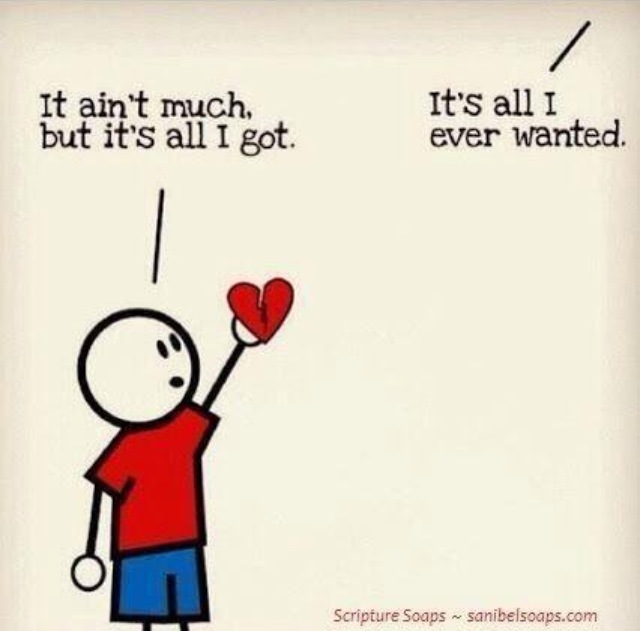 The greatest gift of all that we can give Him is our heart. 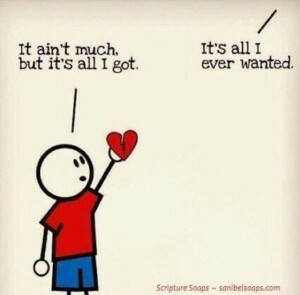 When we give Him our heart in a sincere way, our mind, body, and whole being will follow. Yes, we will stumble, fall and make messes of all sizes along the way; but that’s part of being human. That’s why we need grace. That’s why we needed Jesus to become one of us in the first place. Jesus truly is the reason for the season, and is deserving of our praise. But He is also deserving of our heart, and that is the greatest gift of all to offer Him. Yet another wonderful post ! You are awesome and I love you SO much ! The last cartoon sums it up perfectly!